Head to these regional exhibits and programmes to support local creative talent. 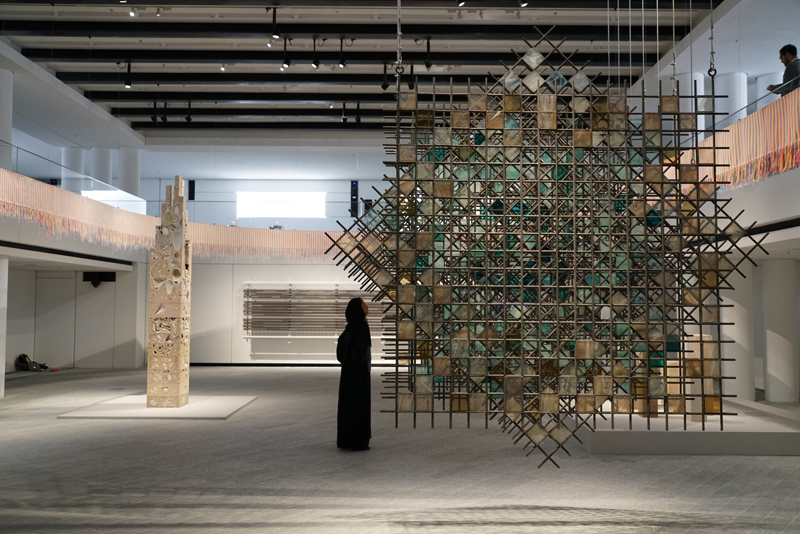 Celebrating regional art and design talent, The Louvre Abu Dhabi’s exhibition, Co-Lab: Contemporary Art and Savoire-Faire (through 26 August), is a summer must-see for all local creatives. It focuses on the results of collaborations between four artists in the region and 4 French manufacturers using four categories of craft: embroidery, glass, weaving and ceramics. Pairings include: Zeinab Alhashemi and stained-glass experts Saint-Just and Saint Gobain; Vikham Divecha and embroidery workshop MTX Broderie Architecturale; Talin Hazbar and porcelain manufacturer Manufacture Nationale des Sèvres and Khalid Shafar, who was paired with mobelier national et manufactures des Gobelins, des Beauvais et de la Savonnerie. Always bold, the Leila Heller Gallery is known for bringing top talent to Dubai. This is summer is no exception. Kenny Sharf: Inner and Outer Space (though 31 August) is presenting the first solo exhibition in the UAE by Kenny Scharf (b. 1958), muralist, painter, sculptor, and installation artist, best known for his fantastical, large-scale paintings of anthropomorphic animals and imagined creatures. The exhibition features a selection of large-scale works on canvas as well as relief sculptures comprised of oil painted televisions and small assemblages of found objects. 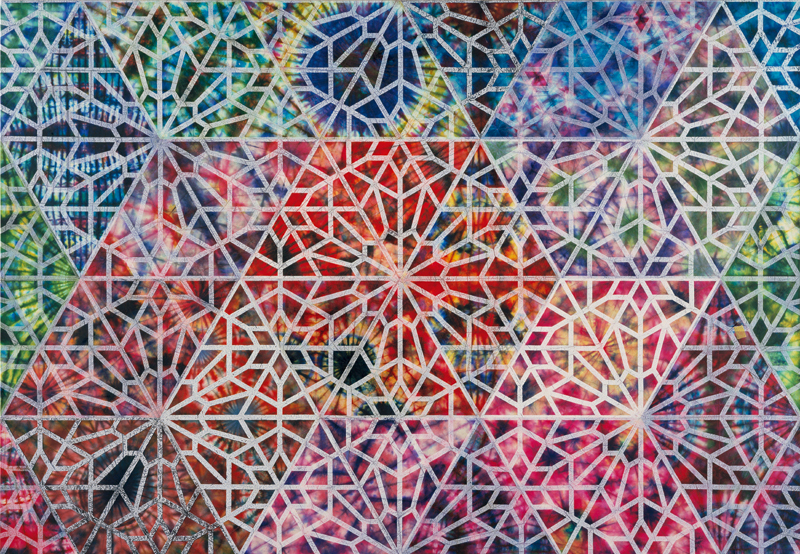 They’re also bringing Dubai—and the whole Middle East– the first solo exhibition by Philip Taaffe (b. 1955), one of the most eminent painters of his generation. The exhibition will feature a selection of recent large-scale works on canvas. Best known for his skillful fusion of techniques, Taaffe has mastered a wide range of processes; including collage, linocut, woodblock, rubber stamp, silkscreen, and marbling — all interwoven into richly complex and highly meditative canvases. (also through 31 August). After the success of their first artists’ jewelry show in Dubai, Custot Gallery Dubai is pleased to announce the prolongation of the show until 31 July 2018. 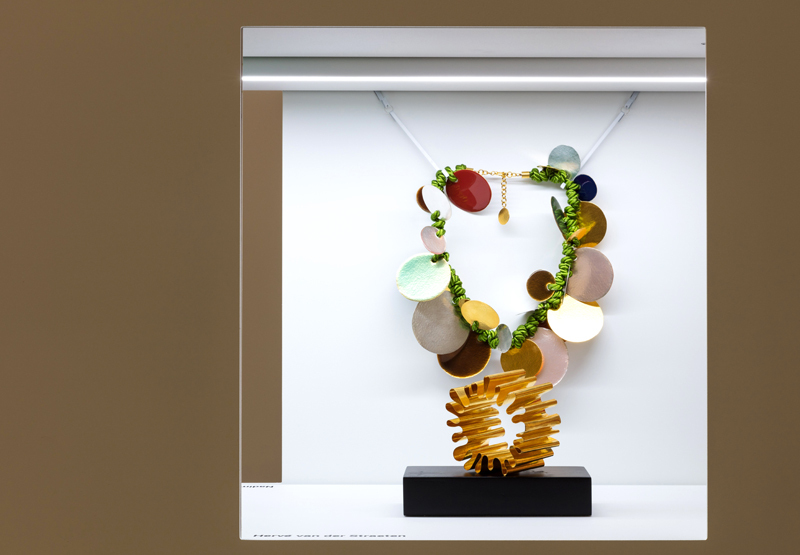 The exhibition brings together over 80 pieces of jewelry and 20 works of art from artists including, Alexander Calder, Lucio Fontana and Niki de Saint Phalle, through to Anish Kapoor, Marc Quinn, Ron Arad and Pablo Reinoso, many others. Bracelets, necklaces, earrings, rings, these art creations cover the entire spectrum of jewelry. European and American artists will be exhibited, as well as major artists from the Middle East, Sahand Hesamiyan and Pouran Jinchi. Because art is not just something you buy—but an integral part of how we all should approach life– id was thrilled to see Alserkal Avenue’s third annual Summer Programme: Sensing Memory, which addresses how sights, smells, sounds, textures, and tastes construct the world around us. From July to September, events and exhibits will draw from the UAE’s creative community and beyond to explore the connection between the senses and our personal and collective memories. 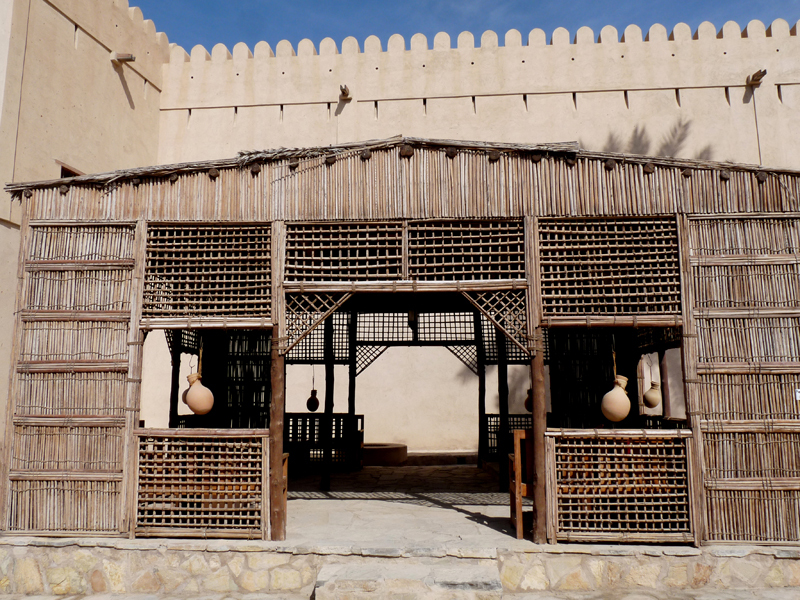 The programme will feature a series of free events that are open to the public, including: a workshop exploring perfume’s potential to trigger memory of loved ones; tai chi lessons to tune participants into their bodies and senses; a lecture and workshop exploring traditional building materials from the UAE; an astronomy lecture exploring the cosmos through storytelling and different civilisations; and a book club reading the first volume of Marcel Proust’s In Search of Lost Time. Inspired by Sir Thomas More’s Utopia and other futuristic visions that exist only in the imagination, Ayyam Galery’s you + topia (through 10 September) touches on cultural, social, and geo-political problems of contemporary Middle- Eastern artists using interpretations of ‘utopia.’ In this captivating exhibition, artists reflect on anxiety and optimism, while offering places of resistance in a climate where we co-exist between war and terror. 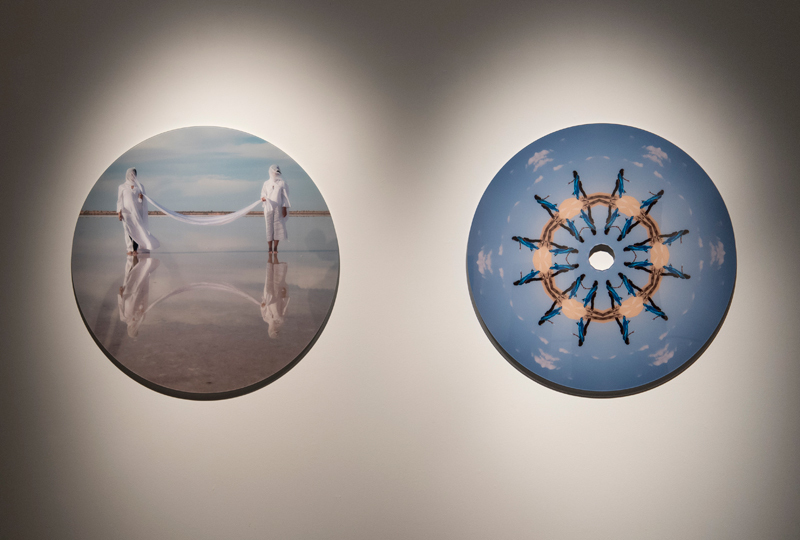 Featured artists include: Samia Halaby, Ginane Makki Bacho, Nadim Karam, Sadik Alfraji, Safwan Dahoul, Rula Halawani, Shurooq Amin, Thaier Helal, Farzad Kohan, Abdul-Karim Majdal al-Beik, Sama Alshaibi, Afshin Pirhashemi, Mouteea Murad, Ousama Diab, Tammam Azzam, and Athier.